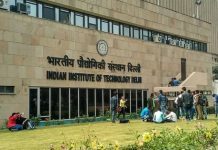 Mumbai: IIT Bombay concluded the Placement Season for Academic year 2016 – 17 on June 30, 2017. Companies recruited across all profiles including core engineering, R&D, consulting, analytics, software, etc resulting in a total of 1114 jobs being offered. Carried out in two phases, Placement Season 2016-17 was successfully completed and it clearly demonstrated the demand of IIT Bombay graduates among the top recruiters in various segments of the economy. In the process of campus recruitment, IIT Bombay observed participation from 305 recruiters and secured an average gross salary of Rs. 11.41 lakhs per annum. The initial part of the season was dominated by a variety of industry leaders from sectors like engineering and manufacturing, computer software and hardware, data analytics, management consulting, finance, banking and FMCG. Major recruiters include Airbus Group (6), Bain & Company (4), Boston Consulting Group (4), Google (5), Goldman Sachs (15), Intel (28), Microsoft (19), ONGC (8), Procter & Gamble (6), Samsung R&D (26), Texas Instruments (11), Tata Steel (9), Qualcomm (13), etc. Some of the international recruiters were Murata Group Japan (7), NEC Japan (6), Schlumberger Asia Services (7), etc. Companies from countries like Japan, Taiwan and Singapore were amongst the top international recruiters. Despite the challenging market situation this year, IIT Bombay managed to maintain good interest amongst the recruiting firms in the job market. Over the years there has been a gradual increase in the number of companies visiting the campus. With the economy increasingly striving for high-end products and services, a large number of companies now strive to develop products in the forefront of technology. A total of 32 Research & Development organizations offered 118 positions this year. IIT Bombay observed an increase in organizations hiring fresh graduates in the R&D sector. Over the years, PPOs have been a new trend of hiring talent from IIT Bombay. The season saw a total 67 International Offers made from companies and 59 Pre-Placement Offers were accepted by students. Over the course of the past few years, internships have become a major aspect in IIT Bombay students’ personal growth and development. Internships give students tremendous understanding about various roles within a particular industry and helped them to select a well-informed career choice. The Internship Season 2016 – 17 witnessed 1107 offers from over 650 organisation. There has been a positive trend in international companies hiring IIT Bombay students as interns. The Placement Season 2017-18 has begun in July, 2017 and IIT Bombay is currently in the process of inviting companies for campus recruitment. 110 students have received Pre-Placement Offers as of 13th September, 2017. Interviews for Phase 1 of campus placements will be conducted from December 1 onwards. The Internship Season 2017-18 hiring started at IIT Bombay from the 1st week of August, 2017. The top global and national organisations are participating for the recruitment of summer and winter interns. International companies, especially Japanese companies have shown increased interest in participation every year for regular internship hiring.